Silver Etched Star Tie Clip. Vintage 50s Warehouse stock, never worn. 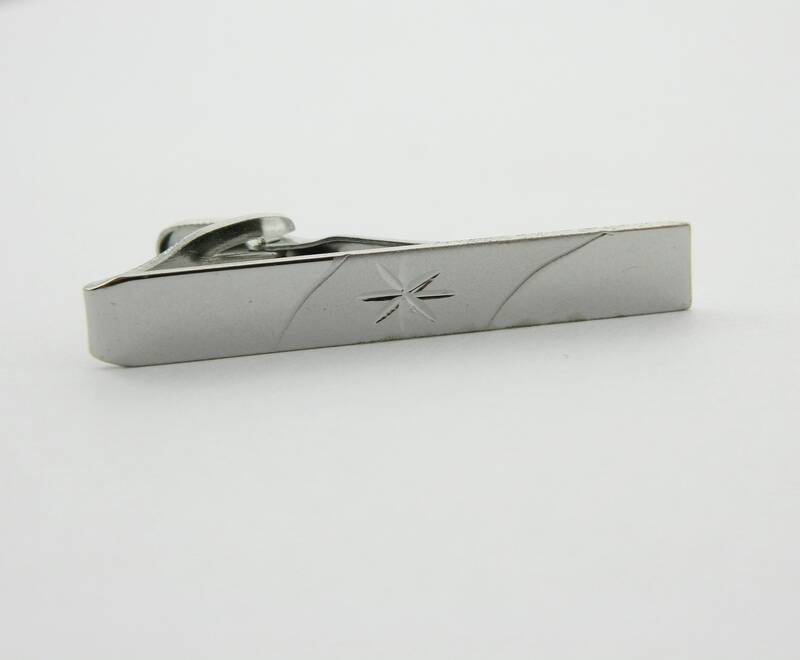 Silver Tone Tie Clip with Etched Starburst.